Streep in talks for Soderbergh film "The Laundromat"
I have to admit that when I saw the title of the article of Meryl starring in a "Panama Papers" thriller by a director named Steven S., I had to do a bit of a double take. No, it's not a sequel to her recent Pentagon Papers film The Post that was directed by Steven Spielberg. Instead, it's been announced that Streep is set to star in director Steven Soderbergh's new project entitled The Laundromat, based on the so-called Panama Papers, which were "leaked documents that showed how Mossack Fonseca, a Panamanian law firm, allowed the wealthy and the connected to funnel money illegally in and around the world." 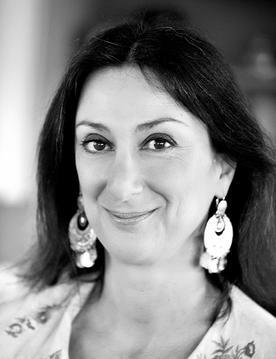 The script was written by Scott Z Burns is based on Pulitzer Prize-winning journalist Jake Bernstein's book Secrecy World: Inside the Panama Papers Investigation of Illicit Money Networks and the Global Elite. 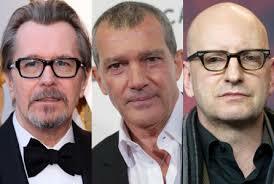 Antonio Banderas and Gary Oldman are also in talks to join. Very little has been revealed about Meryl's role at this point, other than that her character is apparently the "emotional throughline" of the movie. In reading a few tidbits about the book, it totally seems like an interesting topic, and I'll probably pick up a copy. I wasn't able to glean any idea, however, of what Meryl's character would be (maybe the whistleblower?) Of course I want to know if it'll be a lead role/supporting role. I also have no idea on why it's called The Laundromat. Maybe what they call the network for funneling funds illegally. More to come on all that, I'm sure. No word yet either on when filming may get underway, but it looks like Netflix is interested in distribution rights. It's nice to see her announced to be working with another great director! By young Meryl, of course I mean "young Meryl's character." I maintain that I'm not particularly enthusiastic about Meryl participating in this film, as her role is obviously very small. That said, watching this clip I'm sort of looking forward to seeing it. Yes, it'll be campy, silly, low-brow and maybe even poorly written. But I highly doubt it will be boring. It's pretty obvious that Meryl's character Donna will have a very small role, and there's not much in this new trailer that makes me think anything other than Donna is dead. I actually felt sort of interested to see the movie(?) It looks fun, upbeat and colorful, which is sort of lacking in a lot of the things I tend to see on screen these days. The music of course will be recognizable and enjoyable, and the announcement last week that ABBA will be releasing new music for the first time in over three decades will hopefully be a promotional boon to the film's box office changes. Cher might help too. Here We Go Again opens nationwide July 20. The results are in for poll #7, where I asked readers to vote on whether or not they think Meryl will win another Oscar. We have a tie! Only three of 35 voters thought she never would, while with ten votes each, people thought she had an equal likelihood of winning for a leading role in either a novel/play adaptation or an original role. I happened to choose the 'leading role in a biopic,' but that option only garnered four votes. I'm actually a little surprised that not more people chose the biopic option, as the Academy tends to foam at the mouth for such roles. That said, Meryl's played a lot of real-life characters, her most recent win of course coming for portraying Margaret Thatcher (and her last two noms were for biopics in Florence Foster Jenkins and The Post), so it may be more of a novelty and therefore more likely to reward her for a brilliant, even surprising performance of a role created in someone's mind. As always, I'm open to any suggestions for polls people want to see!